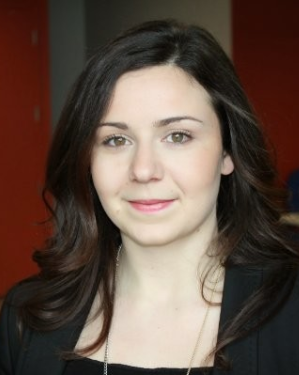 Laura is a recent USC MBA graduate and also holds an MA in international economics from Ryerson University in Toronto. Prior to receiving her MBA, she started and ran her own AdTech company for five years. Laura was the first president of the Adam Smith Society at USC and is passionate about geopolitics, economics, and entrepreneurship. She is currently working as a Senior Venture Operations Manager at Plug and Play Tech Center in Silicon Valley. Please tell us about your experience founding and running a company. What were some key lessons that you learned? Entrepreneurship has been my best career experience to date. I learned what it actually takes to build a product, raise money, sell, and grow. Generating revenue and scaling a business is no easy task, and I got a firsthand look at how value is created through business. My biggest lesson learned, which I hope to carry with me for the rest of my life, is that truly anything is possible. It's exciting to create something that hasn't been done before! In your current role and in your previous role as a founder, as well as a chapter president of the Adam Smith Society, you seem to value entrepreneurship strongly. What does entrepreneurship contribute to society, in your view? And how has your experience with early-stage companies benefited you? As a founder, I've witnessed the heavy burden that excessive regulation and taxation put on early-stage companies—these regulations prevent them from growing. Entrepreneurship is the lifeblood of any economy and is the driving force behind free markets. As a society, we should be encouraging the path to entrepreneurship, not hindering it. On a very basic level, individuals have the right to economic freedom, and society as a whole benefits from that (shout-out to Invisible Hand!). My experience in entrepreneurship has pushed me to be more creative with limited resources and take risks. In my current role, I'm supporting startups as they grow. They are exciting and motivating to be around. I hope to be a founder myself again, one day in the not-too-distant future. What inspired you to get so involved with the Adam Smith Society at USC? Did attending both chapter and national events—such as the Scotland trek and the National Meeting—contribute to your MBA experience? One of my first exposures to the ideas behind entrepreneurship and free markets came from reading The Fountainhead when I was fifteen; it formed a lot of my ideas at a young age about morality and freedom. But whenever I tried to talk to my friends or teachers about these ideas in high school or university, there was a lot of disagreement and pushback. I expected that might be a bit different when I got to business school; but discussions about why free markets matter were just not part of our classroom experience. So the Adam Smith Society was a breath of fresh air for me. I saw it as a vehicle to bring that missing discussion to USC. The National Meeting and the Scotland trek were amazing experiences and opportunities to connect with other "free-market" MBAs from around the world. Going to Scotland to learn more about the work of Adam Smith was, hands down, my favorite MBA experience and something I'll value for the rest of my life. What is something interesting about you that we wouldn’t know from your résumé alone? I used to compete as an amateur boxer. I was a two-time Ontario Provincial Champion in the Open Women's division and, at one point, was considering a professional boxing career.